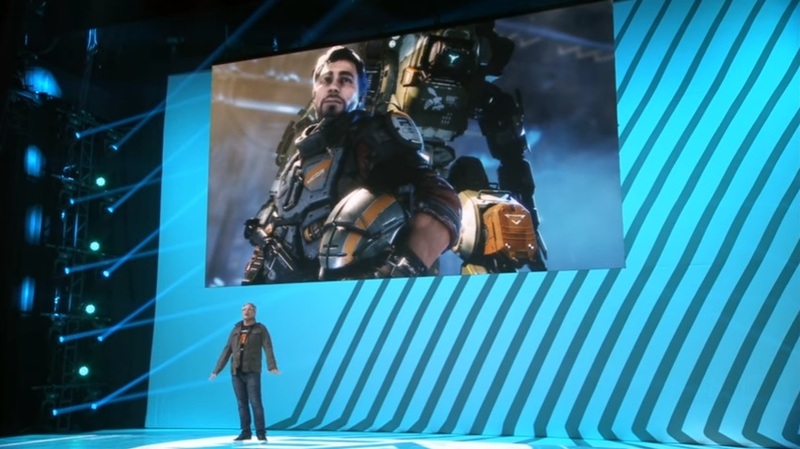 Frostbite, Multiplayer and World War 1.My first taste of this year’s E3 came courtesy of software giant EA. Broadcast simultaneously from LA and London – That’s a brave move! 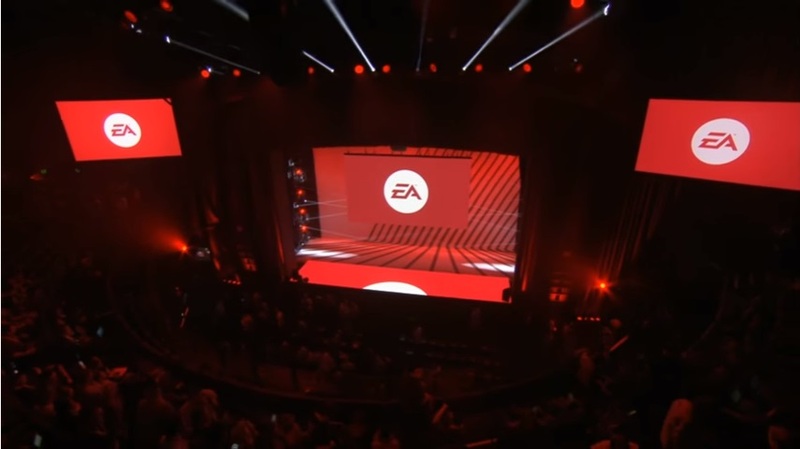 The stage goes red, messages about “play” are everywhere, and up steps Andrew Wilson, CEO of EA (Electronic Arts, if you prefer) He welcomes us to EA Play and tells us how excited he is for this new kind of conference. He wants feedback from the people who love to play games, and they have playable versions of all the big new games here tonight. Wilson hypes us up by name dropping Star Wars, Mass Effect, Battlefield and Titanfall 2. Vincent Zampella is up next to talk Titanfall 2, and confirms that it will drop on PS4, PC and Xbox One. Multiplayer trailer ensues and it looks damn good! Snappy shooting action, the inclusion of grappling hooks and what looks like Pilot abilities. (One seems to throw a grenade which traps several enemies in a tractor beam) Plenty of explosions, giant robots and parkour action all feature as you’d expect. Zampella comes back and tells us there will be 6 new titans to play around with, and also a SINGLE PLAYER CAMPAIGN! Exploring the lore behind the Titanfall universe. (This leaked earlier in the day, but it’s nice to have it confirmed.) Titanfall 2 is due out on October the 28th. We see another video, this time all about the single player. It’s done really well, as the Titan itself communicating with a “higher power” and showcasing the bond with it’s pilot. I’m really surprised that I’m excited for this game, the original came bundled with my XBox1 and I’ve only played it twice. The campaign mode makes all the difference, I guess! Madden is up next. A brief trailer with really slick animation, I don’t really know much about the “other” version of football, but heck, this looks Authentic. 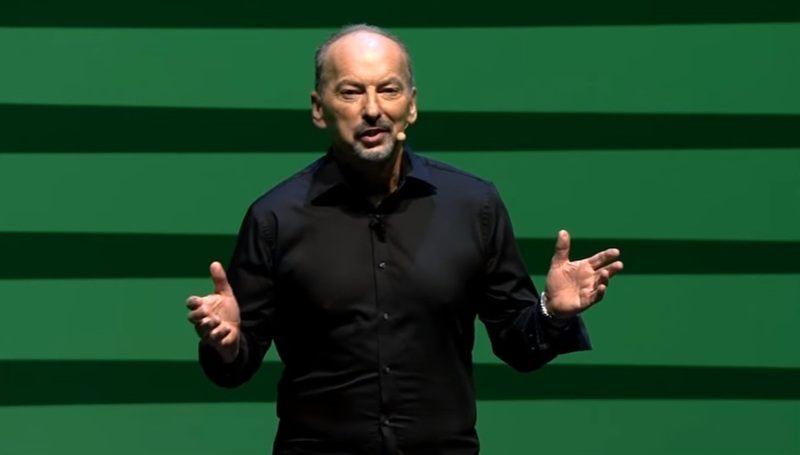 Peter Moore, Chief Competition Officer (one of my favourite job titles) comes out onto the London stage (it’s green as opposed to LA’s red…ooh!) He talks about the various new multiplayer modes that EA are planning for the likes of Madden, Fifa etc. It will now be easier for users to host their own tournaments. EA will host their own “special events” where it’s possible to earn prizes by being the best. Colour me disinterested, but I’m sure someone out there will be bouncing around on their couch right now! Aaryn Flyn from Bioware now, back in LA and he’s here to talk Mass Effect! The search for a new home will take us out of the Milky Way – further than ever before. New characters, species and technology. It’s all powered by EA’s new frostbite engine too! Watching the trailer I got the following bullet points: Return of the Mako (!) Incredible facial animations on the Asari, lead character is female, and there are some really nasty monsters this time around! 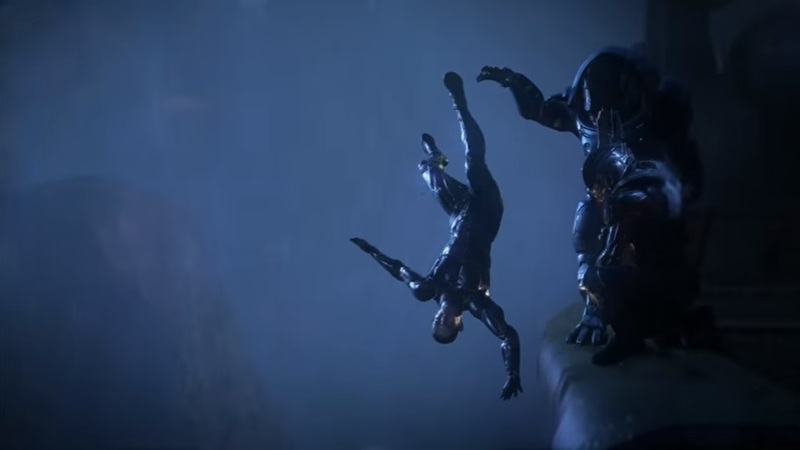 I also spotted a Krogan, this makes me happy. No release date though, which is slightly dissapointing! Premier League managers will also be included – cue an impromptu appearance onstage by Jose Mouriniho! EA Originals is a new plan by EA to help smaller developers bring their creation to life. 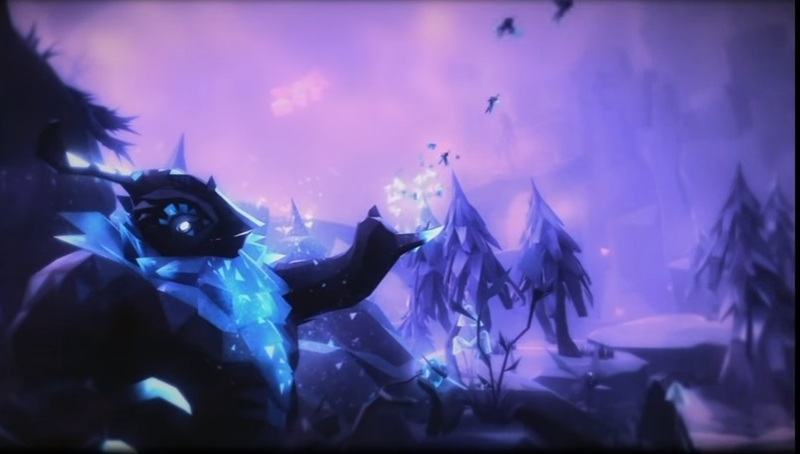 Patrick Soderlund from Zoink games shows us the first EA Original game, and it’s called “Fe”. The easiest way to describe this is to compare it to “Journey” on the PS3. It’s an adventure game with no speech, and no instructions. You are a young cub (looks a little like a spiky fox) and you’ll explore the world… getting further using the music of the forest. Evading the silent ones, an enemy that looks to rid the world of sound. This game looks good, and if it wasn’t for the heart-pounding action of Titanfall 2, this would have stole the show for me! “That” iconic music hits, and suddenly it’s Star Wars time. Jade Raymond drops a bombshell right off the bat, a new Star Wars battlefront. Also, Visceral (who made Dead Space) are creating their own original Star Wars game! (I might actually play that!) We’re shown a video of the EA Star Wars devs hard at work. But there are so many different projects mismashed together I couldn’t keep up! Playstation VR was hinted at in this video, which could be huge for Die Hard fans! Finally, it’s time to talk about Battlefield 1 which is a strange title considering we’ve just had Battlefield 4. 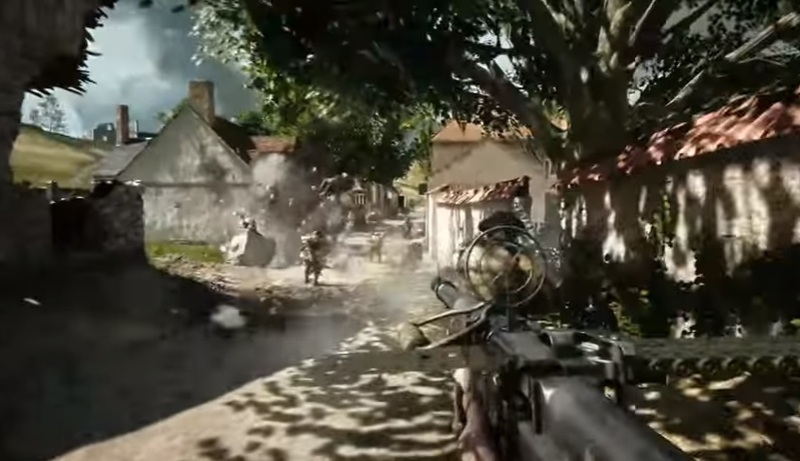 BF1 will be set in world war 1, and I must say it’s nice to see the technology dialled back by around 60 years. Like most other things we’ve seen tonight it’s powered by the new frostbite engine, and multiplayer can have up to 64 players, which sounds crazy! We’re told dynamic weather effects can change any map at any time. There are new weapons and vehicles, such as the giant airship, and the legendary spitfire. There will be an open beta in the summer and the official release date is October 21st. Phew! That was a lot to take in! This was a bit long-winded but I hope you enjoyed it. I tried to get as much detail as I could in there, and also a few piccies…. so this is a little late coming out. Next up? Microsoft! Stay tuned to Load/Error! Posted on June 13, 2016 June 13, 2016 by itsonlyleggyPosted in Feature, ModernTagged Conference, E3 2016.